The ON-Spot™ plug-in for ON-AIR Pro™ enables the inline linking of projects and tasks with the actual proxy or full resolution video stored within your network. 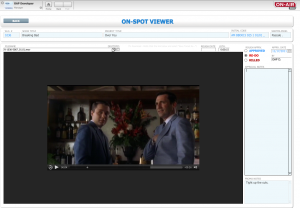 Rather than replacing storage investments, ON-Spot™ is able to work within almost any existing architecture and can even improve upon standalone media asset management systems by providing an integration point for sending important project meta-data directly to 3rd party systems, when integrated. 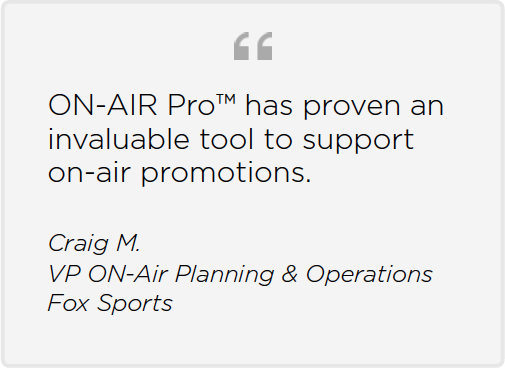 ON-Spot™ is the cutting edge solution for the on-air promotion approval process.